The third day of play in Event #22: $1,500 Eight Game Mix should draw quite a rail on Monday with numerous big names returning among the final 16. Daniel Negreanu, Mike Matusow, John Racener, David Bach, and Anthony Zinno will be among those still with a chance to win the title. Also on Monday, Shawn Buchanan leads the final eight players returning for a fourth day in Event #20: Big Blind Antes $5,000 No-Limit Hold'em. Several big names also return for Day 2 in Event #23: $10,000 No-Limit 2-7 Lowball Draw Championship including chip leader Galen Hall, Benny Glaser, Stephen Chidwick, Scott Seiver, Jean-Robert Bellande, Darren Elias, and Shaun Deeb. It will take a fourth day to determine the winner of this event with eight players returning on Monday. 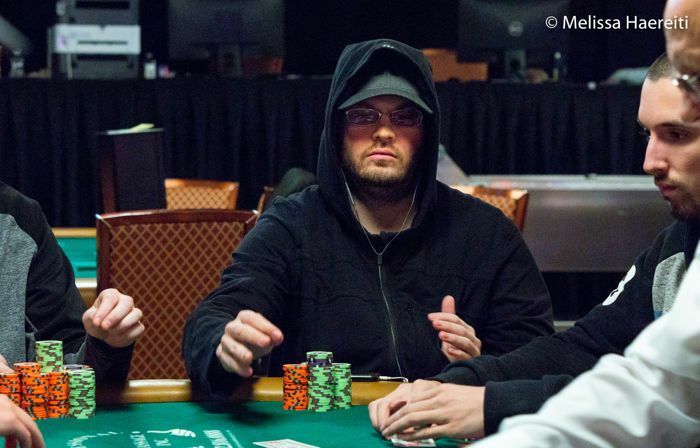 Canada's Shawn Buchanan leads those returning with 2,580,000 chips and is looking for his first bracelet despite having earned over $2.6 million in WSOP winnings. Also returning are Jeremy Wien (2,455,000), David Peters (1,925,000), Eric Blair (1,825,000), David Laka (1,655,000), John Amato (1,005,000), Jake Schindler (880,000), and Richard Tuhrim (625,000). Play resumes on Monday at 12 p.m. and the winner gets $537,710. Check back with PokerNews to follow all the live updates. After two Day 1 flights of the MILLIONAIRE MAKER there are 1,104 players left to proceed onward to today's Day 2. The event drew 7,361 entries, creating a total prize pool of $9,937,350. There's a huge $1,173,223 first prize awaiting the winner along with the gold bracelet. When play resumes Andrea Buonocore will have the chip lead with 209,900 followed by Thanh Nguyen (199,500) and Artan Dedusha (191,600). Other notables advancing include bracelet winners Jared Jaffee (171,900) and Anthony Spinella (162,500), two-time WSOP Circuit Ring winner Thomas Taylor (169,600), Walter Treccarichi (150,900), former November Niner Joseph Cheong (133,700), Bart Hanson (74,400), Rainer Kempe (49,500), Ryan Laplante (33,000), Aaron Massey (28,400), Allen Kessler (25,500), and Shaun Deeb (18,200). Day 2 of this four-day event begins on Monday at 11 a.m. Who will take home the seven-figure first prize? Find out right here as PokerNews will be there for all the updates. With only 16 players remaining and so many notables among them, many eyes will be on this tournament today. Nicholas Seiken leads all currently with 360,000 chips followed by Philip Long (357,000) and Jean Montury (345,000). 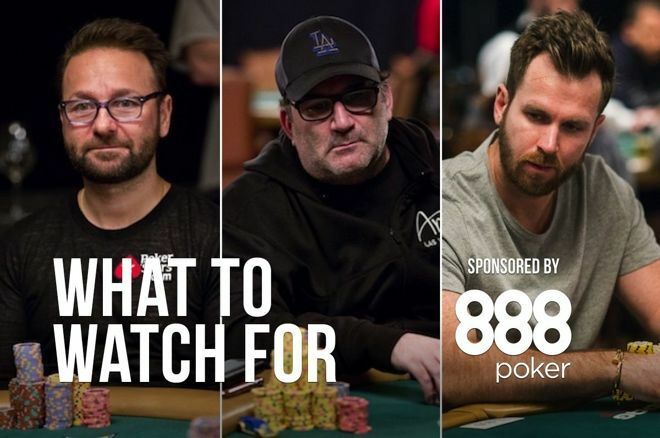 As mentioned, Daniel Negreanu (126,000) will be there, too, hoping for his seventh bracelet, while Mike Matusow (83,000) will be vying for his fifth. Others returning include David Bach (263,000), Robert Williamson III (250,000), John Racener (226,500), Anthony Zinno (198,000), and Iori Yogo (97,500). The winner earns the bracelet and a top payout of $147,348. The third day of mixed game fun kicks off at 2 p.m. PokerNews will bring you all the important hands via the live updates team. PokerGO will also be streaming this final table — click here to check it out. Big buy-in lowball is in the house again. There are 38 players left from the 85 entries, with registration still open until the beginning of Day 2. Galen Hall leads the field into Day 2 with 389,800 chips. Hall has more than $4 million in live tournament winnings, but looking for his first bracelet. Rounding out the top five are three-time bracelet winner Benny Glaser (352,000), Timothy McDermott (304,800), Stephen Chidwick (222,800), and Dario Sammartino (212,500). Others returning include Scott Seiver (142,600), Mike Wattel (135,500), Jean-Robert Bellande (100,800), German professional soccer player Max Kruse (72,800), Darren Elias (70,600), Illya Trincher (42,200), and Shaun Deeb (30,100). Play kicks off at 2 p.m. and PokerNews will be there to bring you all the lowball fun — click here to follow along. Grab a cup of coffee, this one is going to last a while. The five-day Marathon returns to the WSOP on Monday, offering players a starting stack of 26,200, levels of 100 minutes, and late registration through two levels into Day 2. Last year's champion was Venezuela's Joseph Di Rosa Rojas who won $690,469 and his first bracelet. That event attracted 1,759 entries for a $4,147,722 prize pool. The race starts at 11 a.m. and PokerNews will be in this one for the long haul, with updates until the finish line. The first exclusively seven-card stud tournament gets underway Monday with this lower price-tier split-pot form of the game. New Jersey's Ernest Bohn earned the bracelet in this event a year ago, claiming a $173,228 first prize for his only WSOP cash. Players begin with 7,500 chips and 60-minute levels. The festivities begin at 3 p.m. and PokerNews will have all the all the high and lows.